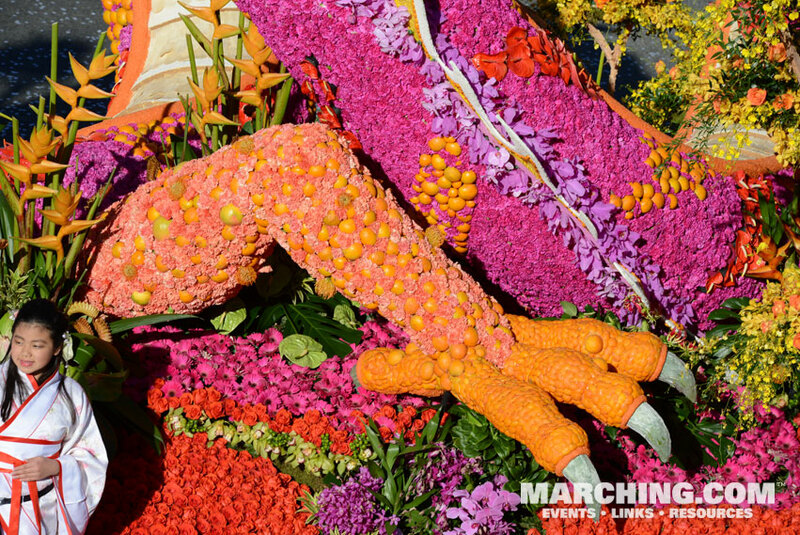 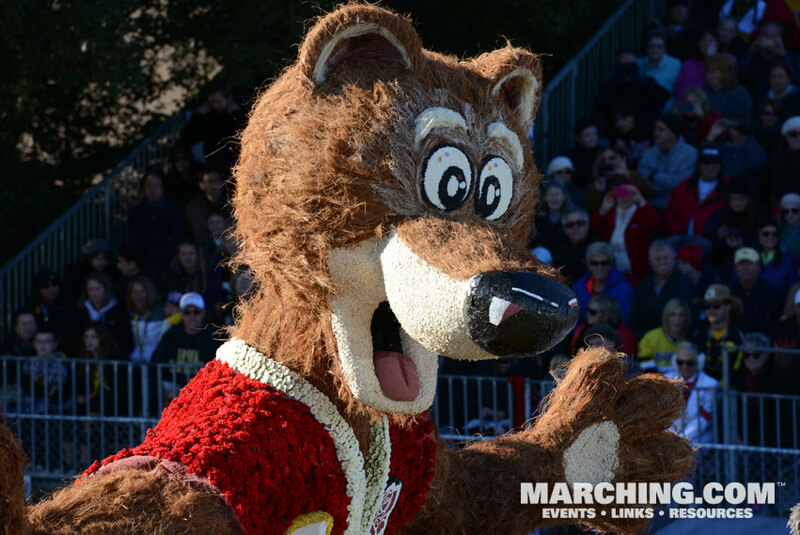 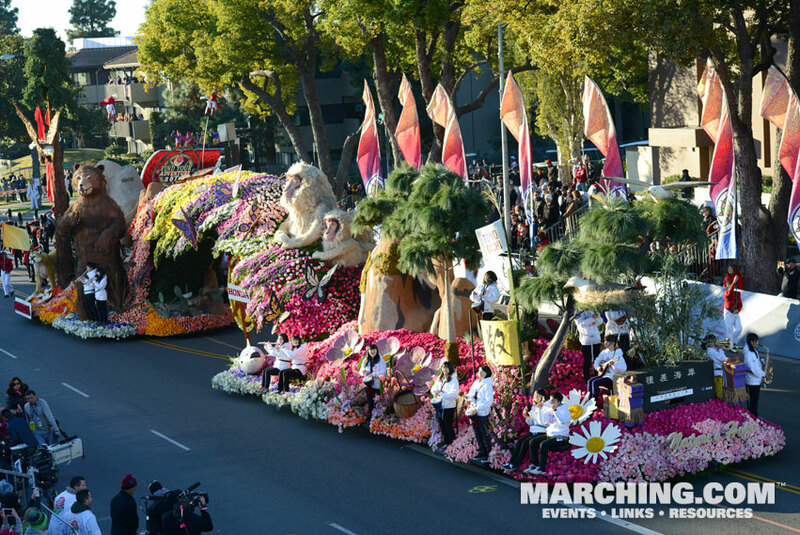 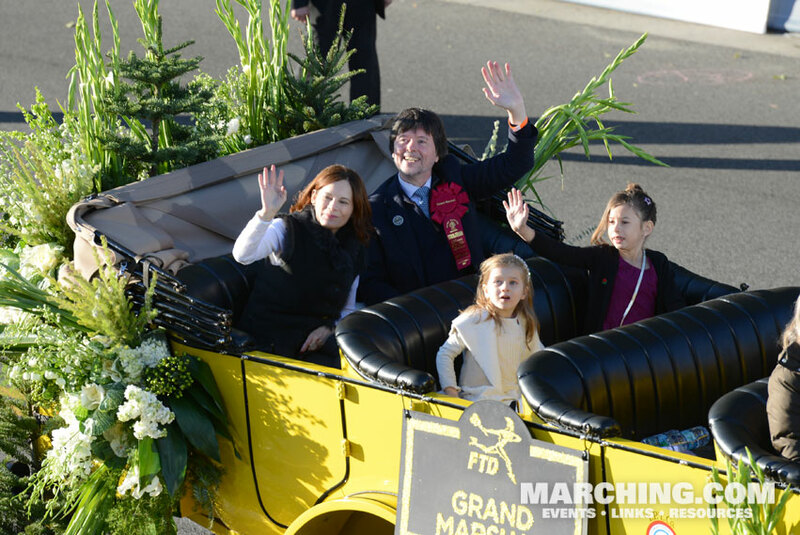 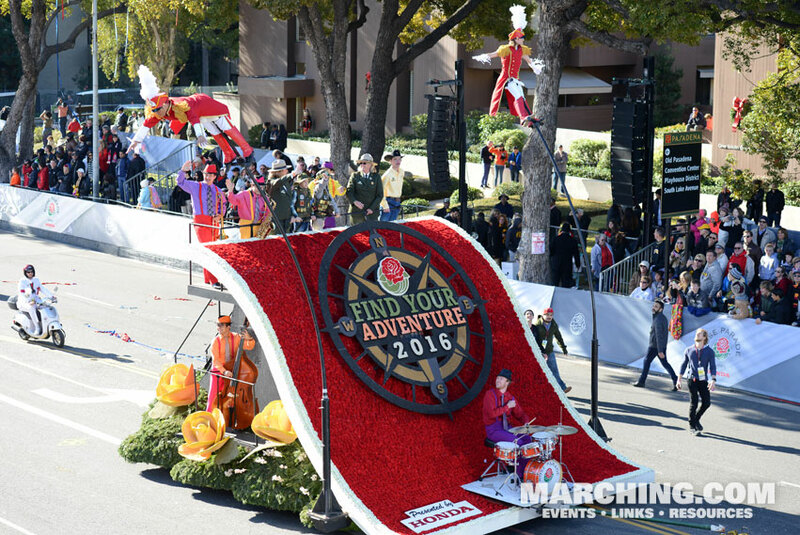 Floats in the 2016 Rose Parade accurately reflected the theme, "Find Your Adventure." 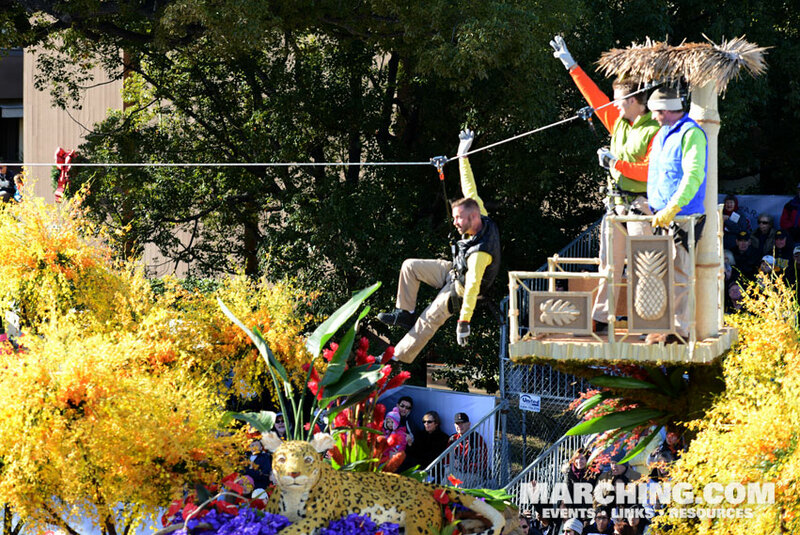 Many designs featured scenic landscapes and realistic wildlife to honor the centennial of the U.S. National Parks, including the entry from Dole Foods which featured riders soaring along an actual zip line. 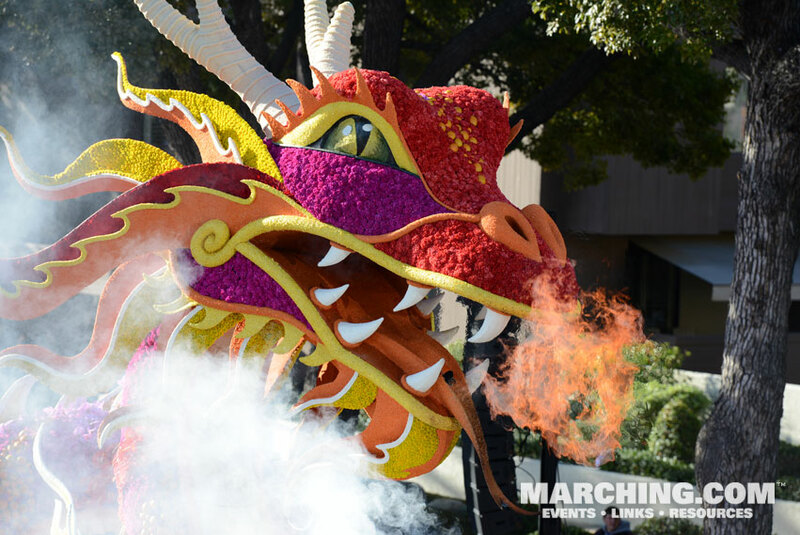 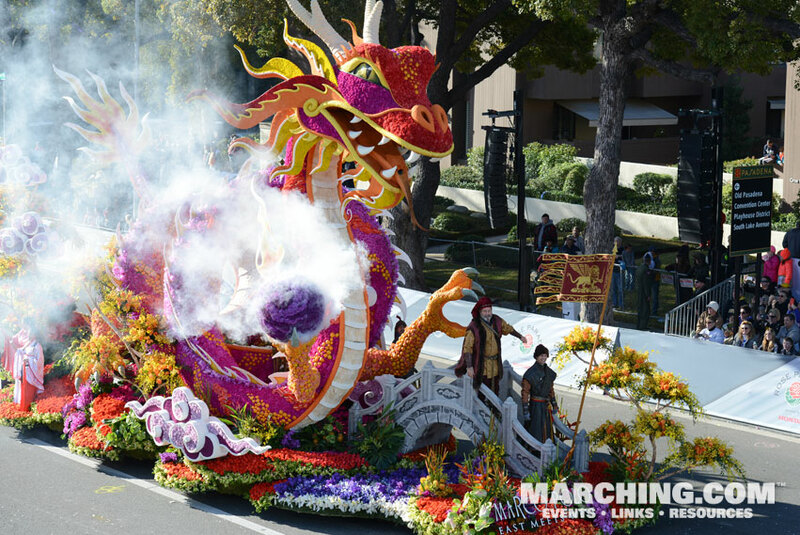 Sweepstakes honors for the most beautiful entry went to Singpoli Group's stunning float featuring explorer Marco Polo and a spectacular fire-breathing dragon crafted with a vibrant color palette. 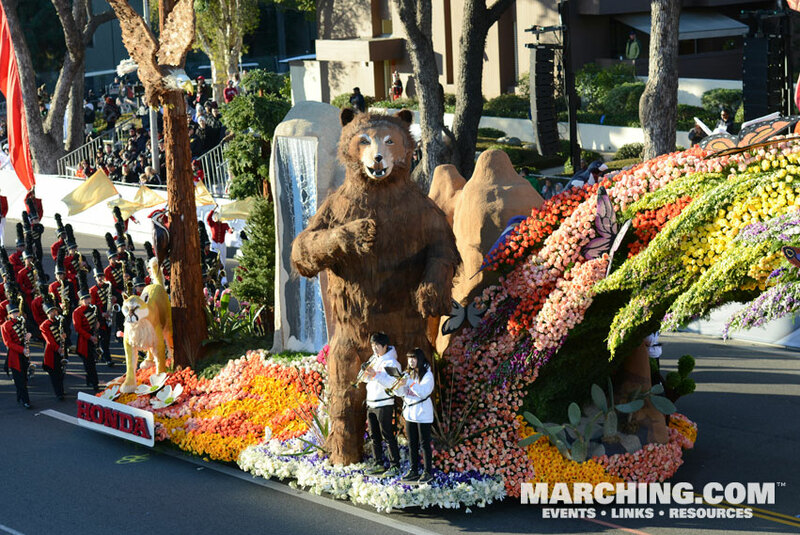 The Bob Hope humor award went to the city of La Canada Flintridge for its entry featuring woodland animals taking a joyride on a camper's raft. 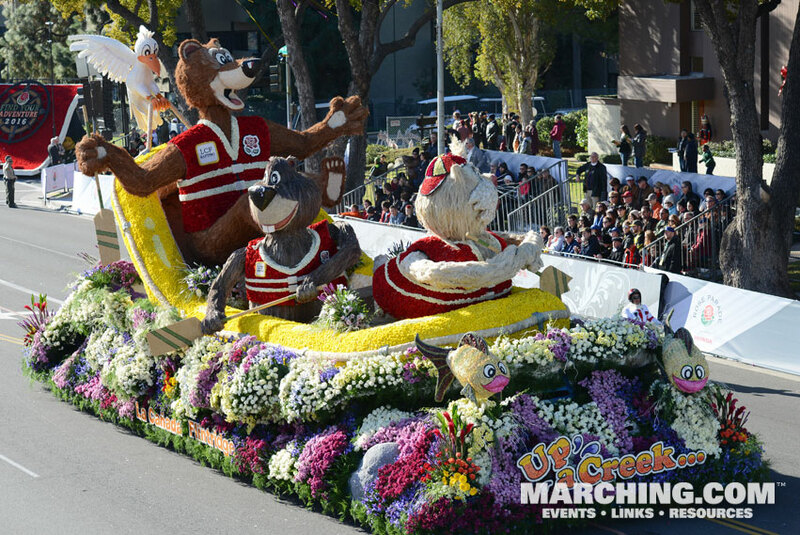 Floats from the 2016 Rose Parade are pictured here, beginning with several highlights and continuing with all floats in order of appearance. 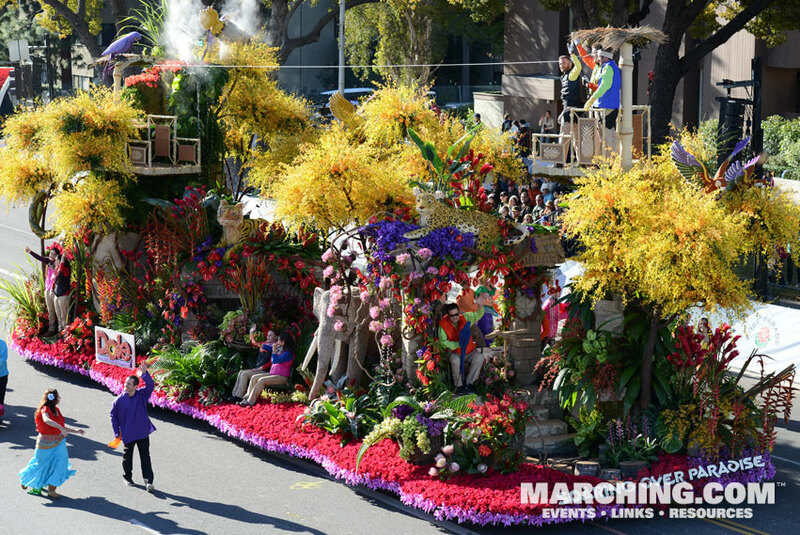 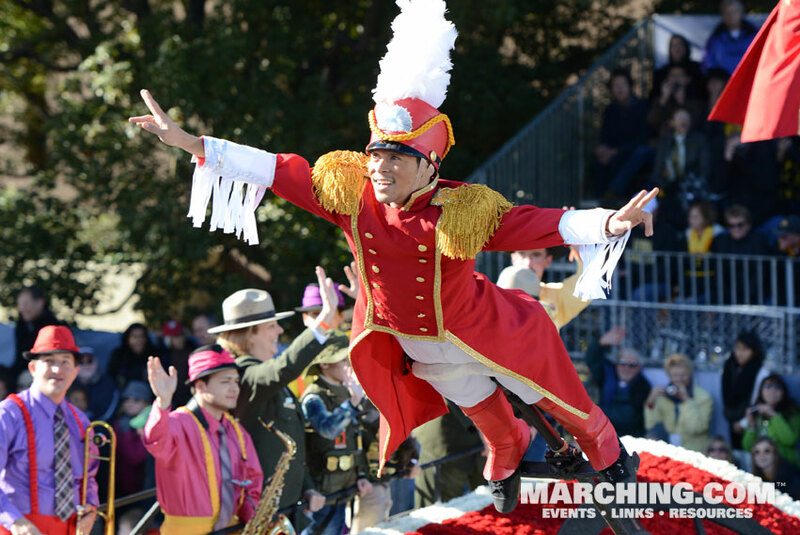 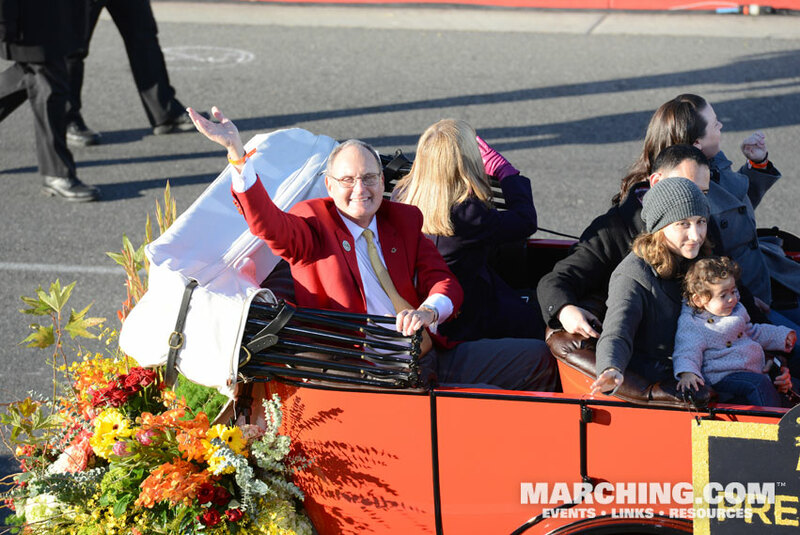 Also see Rose Parade Marching Band Photos and Tournament of Roses Bandfest Photos.